Translation. It’s everywhere we look, but seldom seen—until now. 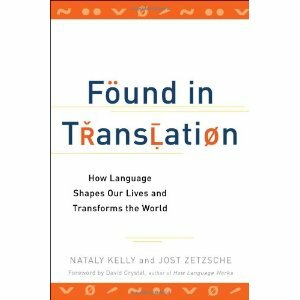 Found in Translation reveals the surprising and complex ways that translation shapes the world. 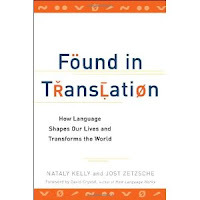 Covering everything from holy books to hurricane warnings and poetry to peace treaties, Nataly Kelly and Jost Zetzsche offer language lovers and pop culture fans alike an insider’s view of the ways in which translation spreads culture, fuels the global economy, prevents wars, and stops the outbreak of disease. Examples include how translation plays a key role at Google, Facebook, NASA, the United Nations, the Olympics, and more.